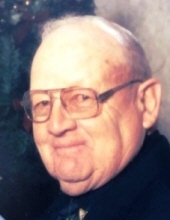 Donald Ray Pratt a lifelong resident of Armada passed away at his home surrounded by his family on Sunday, April 14, 2019 at the age of 87 years. Don was born on October 21, 1931 in Armada, Michigan. He was a son of Harold Ray and Laura Isabelle (nee Gray) Pratt. Don was a 1950 graduate of Armada High School and went on to service our country during the Korean War for the United States Army. On July 10, 1954, he married Jean H. Jacob. In his younger years, he loved participating in sports throughout high school and continued to watch baseball and football. Don was a hard worker; farming from the time he came home from his military service until the day he took his last breathe. His family was very important to him and he loved spending time with them, always teasing and having something clever to say in any situation. Don will be greatly missed by all who knew him and his passing will leave a void in the hearts of his family and friends. Don is survived by his children, Rhosan (Lewis) Beatham-Zebelian, Mitchell (Janice Steinke) Pratt and Michael (Amy) Pratt; grandchildren, Linette (Jeff) Essenmacher, Timothy (Ensieh) Beatham, Jason (Trista) Pratt, Alex Szulborski, Amanda (Jay) Ferguson, Rebecca (Jeff Foehl) Pratt, Molly Pratt, Victoria Pratt and Benjamin Pratt; step-grandchildren, Nicholas (Nicole) Rossmann, Michael Rossmann and Matthew Rossmann; great-grandchildren, Dakota, Anthony, Ashleigh, Abbigail, Rylie, Brooklyn, Blake, Lucas, Owen, Rex, Zander, Easton, Komron, Rilyn, Trevor, Scarlett and Jameson; and niece, Lucy Pardon. Don was predeceased by his wife, Jean; sister, Betty (Jay) Pardon; and parents, Harold and Laura Pratt. Visitation will take place on Wednesday, April 17, 2019 from 5:00 p.m. to 8:00 p.m. and Thursday, April 18, 2019 from 1:00 p.m. to 8:00 p.m. at Tiffany-Young & Hauss Funeral Home, Modetz Chapel, 73919 Fulton, Armada. The funeral service will take place on Friday, April 19, 2019 at 10:00 a.m. with an instate time of 9:00 a.m. at the funeral home. Burial with Military Honors will take place immediately following the services at Willow Grove Cemetery, Richmond Twp. Donations may be made to the American Cancer Society or the American Heart Association. "Email Address" would like to share the life celebration of Donald Ray Pratt. Click on the "link" to go to share a favorite memory or leave a condolence message for the family.